Olá! Welcome to today’s fresh e-newsletter! Obviously, we hope that you can make it to the events in person, but if you can’t – from now on we’ll be using Facebook Live to stream and record quick summaries of our guest speaker’s topics. In case you missed George Schire out at the Eder School this past Sunday, here’s a brief 5 minute video of George explaining why he loves the history of Minnesota Pro Wrestling. And one more quick note, WCHS will be participating in the Lumberjack Days kick off event at the Historic Courthouse! Swing by and say hi to our Executive Director Brent Peterson while checking out Memories of Stillwater’s Lumberjack Days. This comprehensive history of everyone’s favorite lumber-themed summer festival will have a special 1 day price of $5 rather than $20 to celebrate the official return of Lumberjack Days to the Valley! Of course, we’ll also be hosting the annual Lumberjack Days Vintage Base Ball Exhibition at the Old Athletic Field on Saturday. In our News sections today, we’ll take a look at the next two programs on the ol’ WCHS calendar. 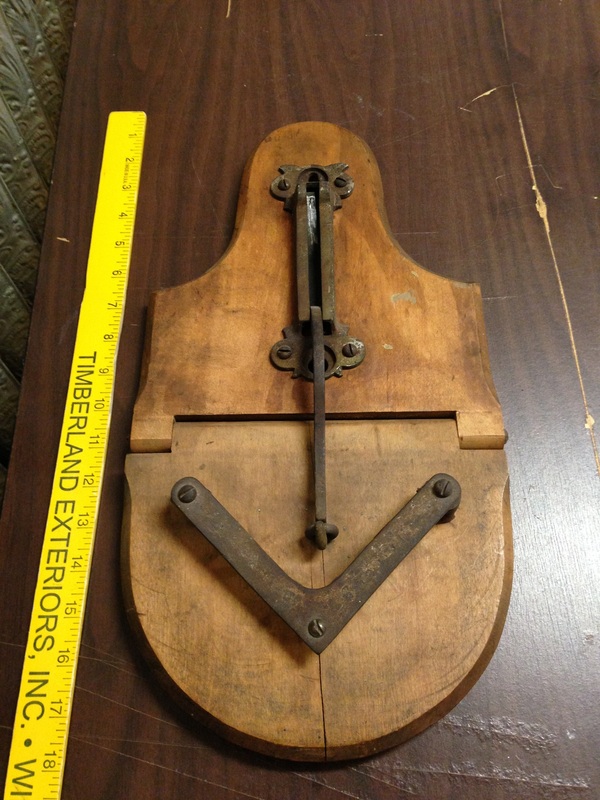 I’ve wandered through the collection to find yet another item for this week’s What Is This Thing?! challenge. We’ll read a rather disturbing account of one of Stillwater prison’s many involuntary residents down in the Old News section. Finally, we’ll wrap up today’s issue by relaying the tale of Samuel “Roxy” Rothafel – a Stillwater native who went on to help create one of New York City’s most iconic cultural pieces. Join us for a free screening of the award-winning documentary “Girl from Birch Creek” on Thursday, July 21st from 5 – 7:00 PM. 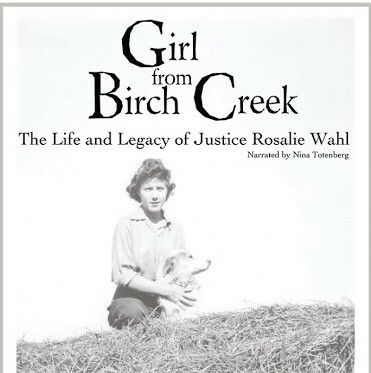 Lake Elmo’s Justice Rosalie Wahl, the first woman appointed to the Minnesota Supreme Court, fights for equal justice regardless of race, gender, or economic status in “Girl from Birch Creek“. The film also tells the story of the 1970’s women’s movement that helped make Justice Wahl’s appointment to the Minnesota Supreme Court possible. The evening will begin with an open house of the Eder School from 5 – 6 PM. The screening of the documentary will begin at 6:00 PM across the street from the Eder School at the Oakdale Discovery Center. 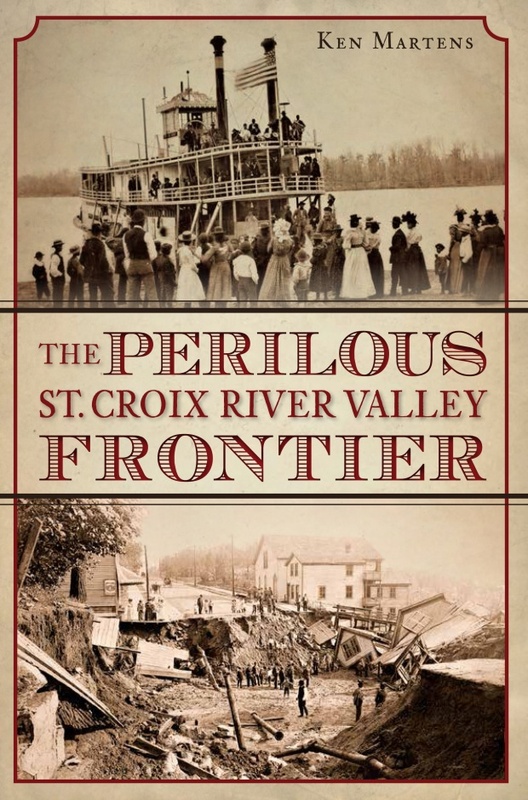 Local historian Ken Martens visits the Hay Lake School Museum on Sunday, July 24th at 2 PM to discuss the exciting and harrowing tales found in his book “The Perilous St. Croix River Valley Frontier“. Many settlers on the frontier were met with untimely deaths in tragic ways. The St. Croix earned its nickname “The River of Graves” when watercrafts were dashed against hazards like Death Rock. Harsh weather, disease, and poor living arrangements left settlers at the mercy of their new territory they call home. Martens is an avid historian and both a researcher and Civil War reenactor. He currently is involved with the Afton Historical Society and Museum and Denmark Township Historical Society. Martens is a graduate of Stillwater High School and has spent most of his life in the St. Croix River Valley. Marten’s book covers fifty stories of frontier life. He will be giving a presentation on his research and have books for sale and to sign. When I saw last issue’s What Is This Thing?! – well, that was my exact response. I had absolutely no clue what the heck this wooden contraption was supposed to be. In fact, even after I had gone to our cataloguing software and looked it up by it’s identification number I still found it hard to believe! So, long story short – thank you to everyone who took a guess, because it was really hard! Here’s what this device would have looked like when all the pieces were put together. 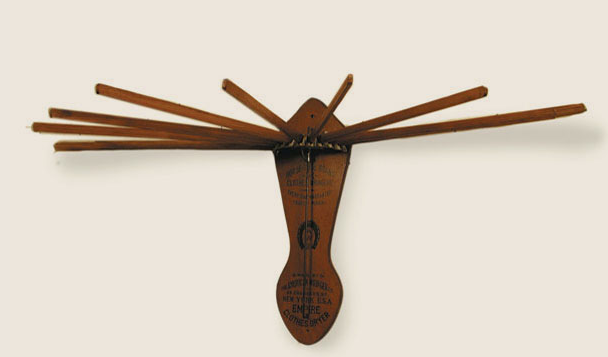 Yup – as unlikely as it is, last week’s mystery artifact is a clothes drying rack! This week’s selection is a bit less obscure, but still hopefully a challenge! 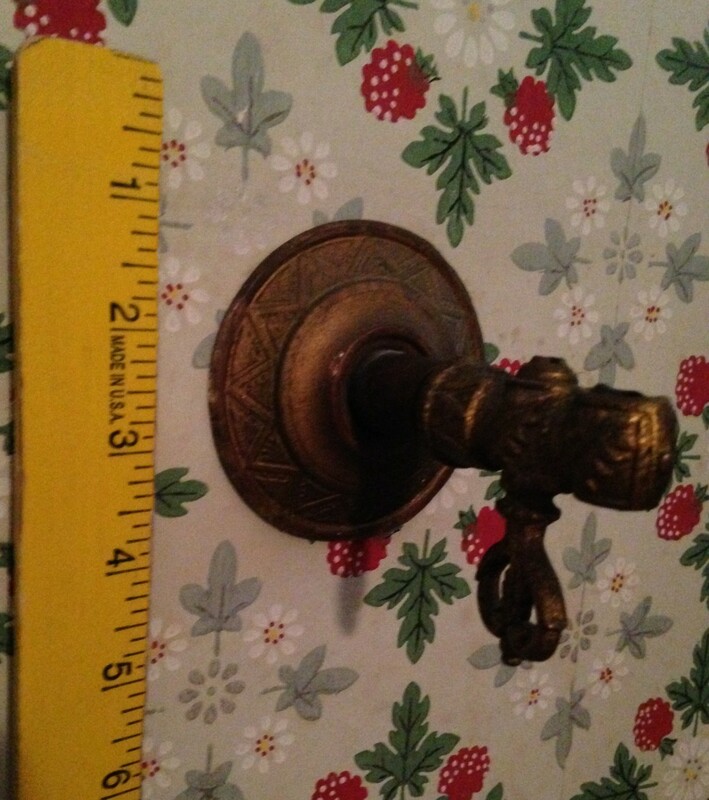 Can you identify the WCHS artifact photographed above? If you’d care to venture an answer, you can send an email to me at spallas.wchs@gmail.com, tweet @WCHSMN, or post your guess on our Facebook page. The Old Stillwater Prison was surprisingly progressive for a 19th century prison. However, when it came to dealing with the mental illnesses of it’s inmate population – they were simply hamstrung by the era’s limited understanding of those sorts of diseases and disorders. As you’ll read, the then recently released James Ambrose had some very, very strange theories of who was running the Prison. Amrbose was clearly an unhealthy individual and should have been transitioning to some sort of therapy rather than being released into the streets. Naturally, in the typically blunt and tactless style of the time, the editors of the Stillwater Messenger couldn’t help themselves from commenting on both his mental and physical characteristics. James Ambrose, a convict sent from St. Paul in May, 1887, to serve a four year term in the prison was recently discharged form that institution. He caused a great deal of trouble to the officers during the entire period of his incarceration. He was on the infirm list most of the time. He was actually too fat to be able to do anything. His weight when discharged was 307 pounds. If not actually insane he was certainly the victim of many strange delusions. He labored under the impression that ex-deputy Westby was a mind reader, and at one time made a desperate assault upon him with a large butcher knife that he had mysteriously gained possession of. He had another idea too, to the effect that the Masons and Odd Fellows exercised a baleful power over the souls and bodies of the inmates of the prison. To the editor of the Globe: – Please publish the following wail of the Minnesota state prisoners: We, the convicts of Minnesota, do solemnly aver that we have been and are being killed by being deprived of our minds or souls by the Free Masons and Odd Fellows, in which order every officer and guard of the prison belong. And they are all thought readers. The convicts, as citizens of the United States, claim protection under the constitution, which guarantees liberty of conscience, or free thought. They demand of the United States an investigation of their case. The above will be attested to by an ex-convict. Editor’s Note: Hmm..psychic, soul-stealing prison guards…why does that sound familiar? There are many people who affect our lives. They could be our parents, siblings or neighborhood friends. Most of the time as we recall our lives we are touched by at least one, maybe more, of our teachers in school. These teachers see success in all their pupils and wonder after they pass on to the next grade or venture out into the world what, if anything, did they teach the young boy or girl. Sometimes these pupils leave and become even more that the teachers ever expected of the student and for Mrs. F.E. Lammers, a poorly dressed, skinny boy became one of the Nations most well known people. 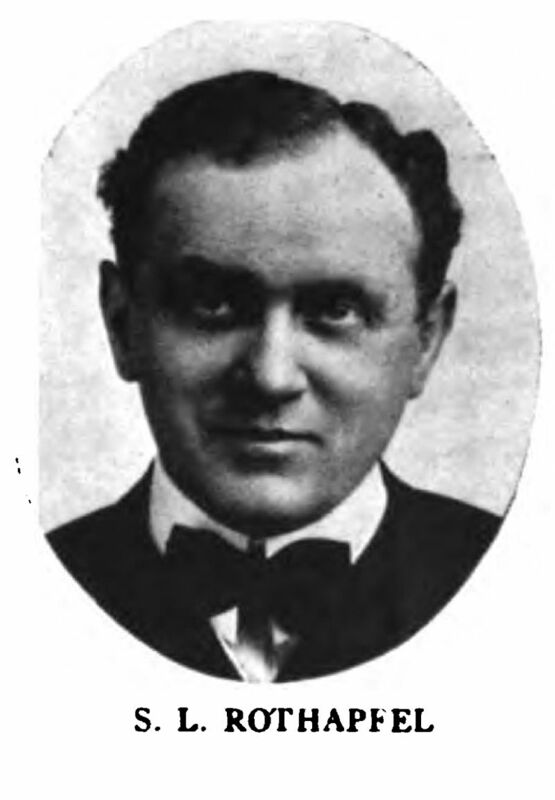 In the Stillwater Gazette of May 21, 1927, a headline read: “Stillwater Woman Recalls Teaching “Roxy” Rothafel.” Samuel “Roxy” Rothafel became one of the best known theater managers in the Country and he got his start in Stillwater. His teacher who was substituting for a short time was Mrs. F.E. Lammers. At the time of the article she was living in Lakeville, Minnesota. “It just goes to show that there are many opportunities for success in America even though one has but a humble start in life,” Mrs. Lammers said. Roxy’s health was poor at best, but as the gallant entertainer he was he continued to promote shows. He returned to Stillwater in May 1934 to one of the largest celebrations ever given to any one individual in Stillwater. There was a grand luncheon given in his honor at the Lowell Inn. Roxy was given a “Hello Roxy” book by the Stillwaterans in which there were over 2,000 signatures of local people. He toured the town in which he spent his youth and then over 500 people in 125 automobiles escorted Roxy and his Gang back to the Minnesota Theater where Roxy was having his show. Roxy was “mighty happy” about his hometown visit and told the crowd at the theater about his days on the St. Croix River. Roxy’s health became more of a problem. He had to retire from the Radio City Music Hall because of poor health. He was feeling a bit better in early January 1936, but sometime during the night of January 12, 1936, Roxy died. He was buried on Long Island, New York three days later. This pupil of Mrs. Lammers left Stillwater in trousers that did not fit and became the Nation’s leading theater promoter. Not bad for a cobbler’s kid from Stillwater. 7/16 Lumberjack Days Vintage Base Ball Exhibition – Old Athletic Field, Stillwater – 11:00 AM – 5:00 PM. Free! 7/21 “Girl from Birch Creek” Screening – (Open House of Eder School from 5 – 6PM) – Oakdale Discovery Center, Oakdale – 6:00 PM. Free! 7/24 “The Perilous St. Croix River Falley Frontier” with Ken Martens – Hay Lake School, Scandia – 2:00 PM. Free! The Washington County Historical Society collects, preserves, and disseminates the history of the county and state of Minnesota.